When light or wind passes through, the open eyes of a mask can haunt you. 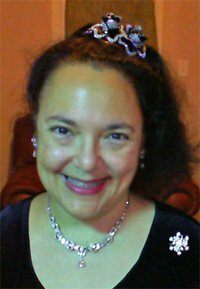 Ancestral spirits look back. I wanted to show some tribal combs and masks, whose open designs allow this emotional exchange to happen. 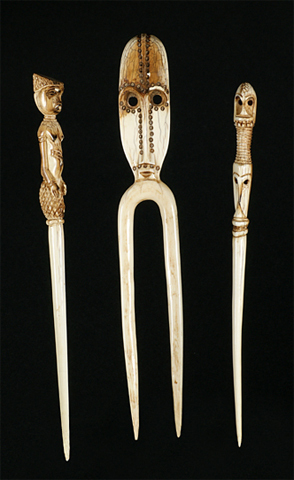 These three 20th Century hairpins with masks are ivory. 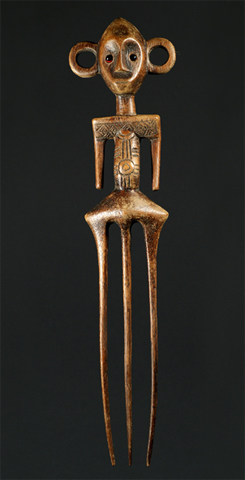 They were made by the Zande people who live in the Democratic Republic of Congo. The Zande also inhabit portions of South Sudan and the Central African Republic. In Angola, the Ganguela are a small minority ethnic group made up of several tribes, each with their own language and social identity. The Lwimbi tribe is one of these. 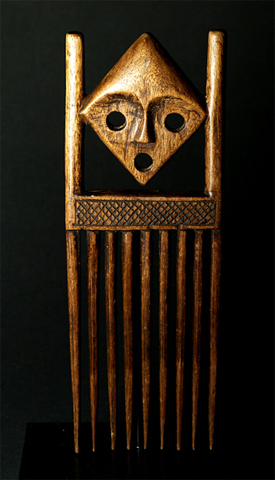 They are known for beekeeping and making pointed masks with open designs. The Boa people live in the Northern part of the Democratic Republic of Congo. 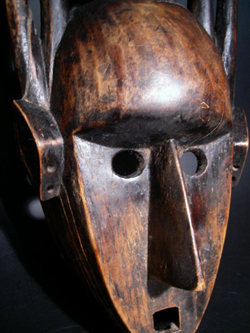 Their art features masks with prominent, round ears, which signify alertness in a warrior. 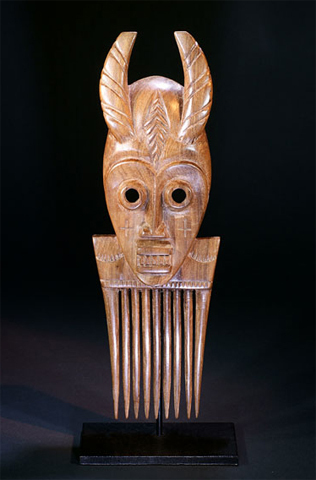 The first comb has a representational head with red eyes and round ears. 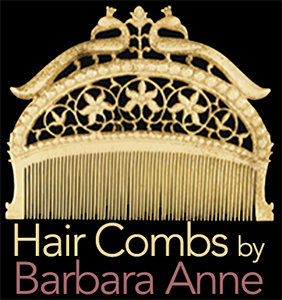 However, the second comb is more symbolic. 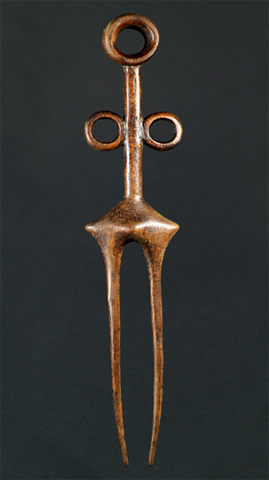 Both the head and ears are round circles, and the ears are at arms length to give balance to the piece. I don’t think a Western modern artist could have done better. The Baule tribe is one of the Akan peoples, who inhabit Ghana and Côte d’Ivoire. Their religion is centered around ancestor worship and nature gods. These two masks are from the Gina Hellweger Collection. 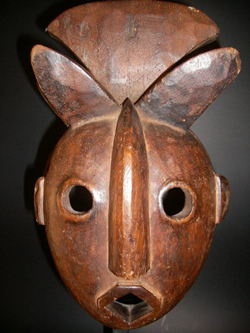 “This mask is an Ogoni Animal Mask from Nigeria. The Ogoni people live to the east of the Niger delta. They have retained a vital varied masquerading activity that is in part deeply rooted in their own tradition and in part adopted from neighboring ethnic groups, such as the Ibibio or Ijo tribes. Masks depciting wild animals are danced on the occasion of agrarian rituals. 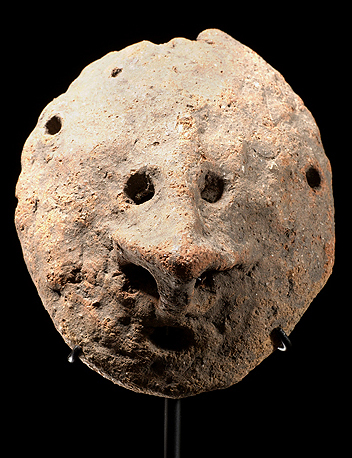 Last, from the Bruce Frank Art Gallery comes this antique mask from Pora Pora in the East Sepik Provence of Papua New Guinea. This is the most haunting mask I have seen yet. It is made from terra cotta, has an elongated nose, and is pierced for attachment. Is the Pora Pora mask for sale?